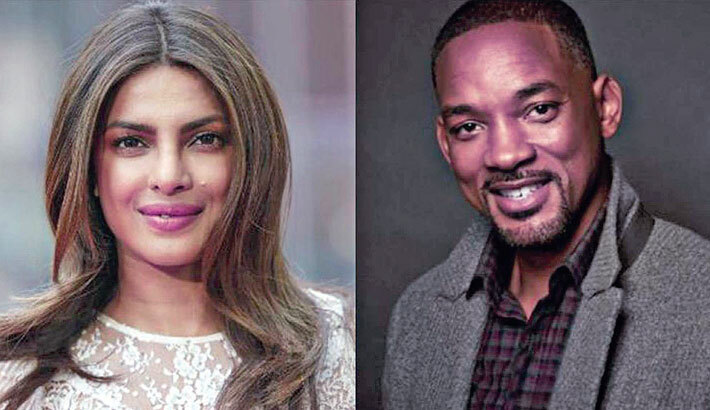 Bollywood actor Priyanka Chopra and Hollywood star Will Smith will soon star in ad-supported originals by video-sharing site YouTube, reports Hindustan Times. Priyanka, who carved out a niche for herself in the West through her lead role in drama thriller series Quantico, will host the series If I Could Tell You Just One Thing, which will feature her journey to meet inspirational people and ask them advice on how to change the world, reported The Hollywood Reporter. Smith, who joined YouTube in December, is planning to jump out of a helicopter over the Grand Canyon to celebrate his 50th birthday in September. The stunt, dubbed ‘The Jump Off’, will stream live on YouTube and will have a charity component. YouTube chief business officer Robert Kyncl announced the shows on Thursday.